Our The Cramps poster collection is the world's best, encompassing vintage and contemporary posters from the 1960s to today. 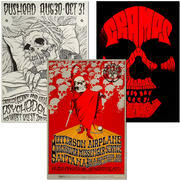 Our vast poster collection features classic bands in rock, blues, jazz, soul, and more. We also have thousands of movie, dance, political, sports and theater posters.